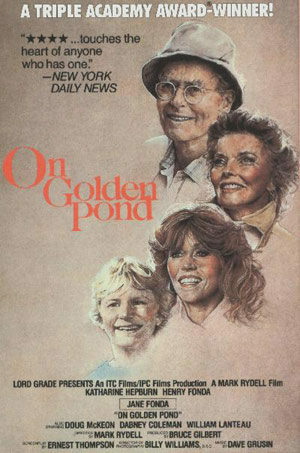 The legendary Henry Fonda and Katharine Hepburn star in one of the 1980’s most honored and cherished films, On Golden Pond. 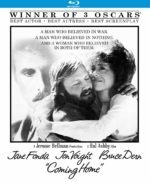 In his final role, Fonda masterfully plays Norman Thayer, a prickly retired professor who visits his Maine summer home with his loving wife, Ethel (Hepburn). 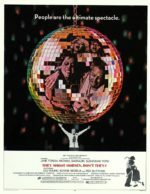 Soon after they are joined by their daughter, Chelsea (Jane Fonda, in her only on-screen teaming with her father), her fiance Bill, and his son Billy. 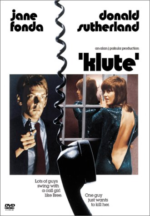 The cantankerous Norman develops an unlikely bond with young Billy, providing the framework for an emotional summer in which the Thayers’ strained familial relationships are finally allowed to heal and take wing. Nominated for ten Academy Awards including Best Picture, On Golden Pond earned Henry Fonda his first Oscar after a lifetime of outstanding performances, and solidified Hepburn as one of film’s greatest actresses when she received her unprecedented fourth Best Actress Oscar. Also starring Dabney Coleman and Doug McKeon, On Golden Pond is a classic tale of family told with heart and warmth as well as a timeless treasure that represents the end of an era for Hollywood cinema.